How do I know when my uploaded drawings are ready? 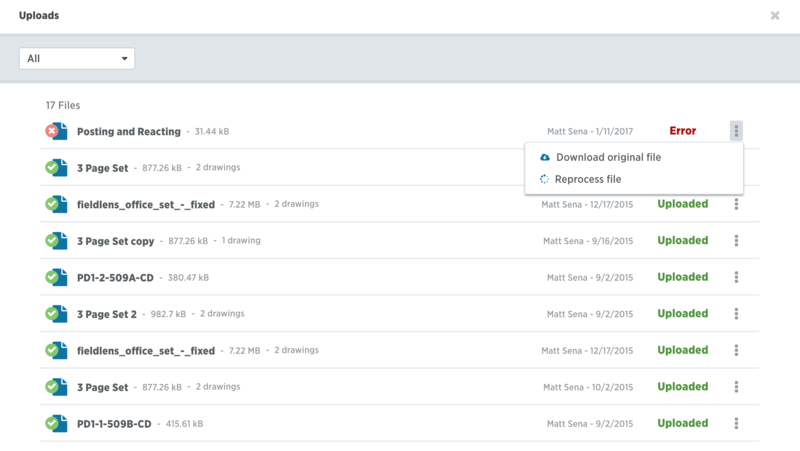 Check the status of your uploads under Drawings > View Uploads. You can use the dropdown menu within this page to view all files that are still processing, as well as any errors. From the menu to the right of each drawing you can download the original file or reprocess any files that have returned an error.